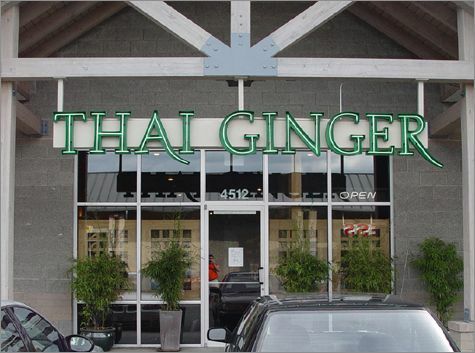 Thai Ginger is hands down the best Thai food in Issaquah, considering that our rivals for best Thai food in the Greater Seattle area are our other locations! If you’re looking for an authentic, tasty menu at a location with great ambiance and service, come see us at Thai Ginger. Located accessibly in the Klahanie Shopping Center just off I-90, we’re easy to visit for lunch, dinner, or take-out. Open later than most other Issaquah restaurants; you can enjoy curry, noodles, soup, and so much more until 9:00pm weekdays and weekends. Whether you’re on a date, celebrating with family, or just feeling like grabbing some food before grocery shopping at QFC, Thai Ginger will meet and exceed your expectations!